There are some who have expressed doubt about my integrity or my capacity to think for myself because I have personal and professional connections with Green Pasture Products and The Weston A. Price Foundation, both of whom are currently being scrutinized due to a recent report published by Dr. Kaayla T. Daniel. It has been suggested that financial gain has clouded my perspective and I might not be seeing straight. For those who want a quick answer: I wouldn’t hesitate to part ways with both the Foundation and the Wetzels, who own Green Pasture Products, if I thought that they had purposefully deceived the public or allowed an unsafe product to continue to be sold for their own personal gain. If I thought the products were unsafe or that I had made an error in recommending them, I would share that wide and far. People who know me well, and even not so well, will certainly attest to the fact that I am a fairly strong willed individual who isn’t afraid to assert herself. Could all parities involved, including myself, have done things differently or for a lack of another word, better? Yes, I think so. I can say that about myself in virtually every circumstance. I would often enjoy a do-over. Despite the concerns raised in Dr. Daniel’s report however, I have not concluded that I am being duped as a friend, a colleague or a customer. Green Pasture Products and the Foundation will post their more in-depth statements, and like many others, I look forward to greater clarification. I have had a long association with the Foundation and Green Pasture Products. I was introduced to Green Pasture Products in 2004, before fermented cod liver oil was produced. My association began when I founded the Weston A. Price Foundation’s San Francisco chapter in 2004 and led it for about 1 year. In November of 2014, I was named to the Foundation’s honorary board. I currently serve as the co-chapter leader in Portland and have for almost one year now. I am the executive and creative director of Nourishing Our Children, which is directly connected to the Weston A. Price Foundation. They serve as our non-profit fiscal sponsor. I know the Wetzels both personally and professionally. We’ve hosted David Wetzel for a series of talks he gave to our chapters in the Bay Area. I’ve visited their home and facility in Nebraska for about a week. I have a visual communication business and Green Pasture Products has hired me on a handful of occasions over the years as a photographer and designer. So has Sally Fallon Morell, and many other clients, of course. Have I benefited from my association with Green Pasture Products, Sally Fallon Morell and The Weston A. Price Foundation? Yes. Most definitely. Both personally and professionally. Have I been influenced by the long association with both parties? Yes, of course. These are not strangers to me … far from it. I don’t believe them to be con artists, and one of the reasons is because I have gotten to know them over many, many interactions over the course of more than 10 years. It is not true that Green Pasture Products was instrumental to me establishing Nourishing Our Children. I established Nourishing Our Children in June of 2005. The first donation we received from the Wetzel’s was in 2011. They’ve donated once a year since 2011. The first time they donated 2,500. They have subsequently donated 5,000 each year. We’ve used the funds in various ways every year depending on our needs at the time. One year we purchased an LCD projector to display our PowerPoint which we’ve presented for free as a gift to the community. We’ve also used the funds to help pay for us to exhibit at the Wise Traditions conferences … airfare, hotel, and such. The checks are not company checks, they are written from the Wetzels themselves. We’ve received a total of $17,500 from them out of just over $280,000 in donations we’ve received in about 10 years. My mother has contributed 75,000 to put their contributions in persepctive. The Wetzel’s donation is less than 6.3% of the contributions we’ve earned to date. The Weston A. Price Foundation has donated to Nourishing Our Children 5 times. 2 times for large bundles of Nourishing Our Children DVDs that they used for their own fundraising effort at conferences, once to fund a giveaway of 36 DVDs to our community members who put our DVD on their wish list and twice to support our operational costs. The total donations have come to $5,528.80 … including an express shipping reimbursement. Sally Fallon Morell of New Trends Publishing has donated twice. Once to help fund our website creation, as did many other community members, and once to support the creation of the DVD I launched in 2010. Her total contributions to Nourishing Our Children have been $1,250.00. Keep in mind that we’ve had some 3,000 other donors since 2005. Are we dependent on the donations we’ve received from Green Pasture Products, the Weston A. Price Foundation or New Trends Publishing to sustain us? No. Would we survive without those donations? Yes. If Nourishing Our Children was to become an unsustainable venture, I would simply discontinue. I don’t need to led Nourishing Our Children to support myself. A lot of my time investment is voluntary anyway. If folks want to discount my opinion or my perspective because they think I’ve been paid off, that is their prerogative. I know without question that I cannot be bought. I am my own person and I draw my own conclusions. 41 Responses to I cannot be bought. I think it’s really sad that people would jump to the conclusion that you are being paid off. There are two things I truly know about you Sandrine–one is that you deeply care about health, especially the health of children, and the other is that you are very honest–possibly the most honest and transparent person I know. I also know that Nourishing Our Children does not benefit you financially. You could easily spend the time you volunteer for this cause and use it to work more in your visual communications business, which would be more profitable to you, I am sure. You are very talented and I doubt you need income from NOC. 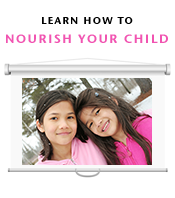 I know you run NOC because you want to educate people on how to nourish themselves and their children. If you had any reason to believe that Green Pasture products were harming us, I know you would say so. I am sorry to hear people are being so quick to judge. Dr Daniels surprise report threw me for a loop, because I had put trust in both her (for information on nutrition) and in Dave Wetzel (for doing his best to create a nutritional product). I am trying to be as neutral as I can until I have more information. But I am simply surprised people are accusing you of being bought. Wow. You have known me in this community for a number of years . It means a lot to me to have you express that you continue to have strong faith in me. I never would have dreamed in a thousand years that Sandrine, of all people, would be accused of being paid off. I have known Sandrine since 2004, when she was the chapter leader in San Francisco, and we have been friends since about 2005. I can honestly say that the level of integrity she holds is higher then any single person I have ever known. As mentioned above, I can attest that Sandrine is strong willed and will absolutely stick to her values even if it means breaking ties with people near and dear to her. It is quite disheartening to me when people immediately judge and assume she has been paid off based solely on their skewed knowledge of her association with GP and the WAPF. If whoever “Complete Disclosure” is knew her at all, I believe he/she would change their mind if they were at all reasonable. Yes, Riki! Perhaps I simply haven’t jumped to the same conclusions because I have a difference of opinion not because money is involved! Thank you! I have known Sandrine for many years, and have had interactions with her both personally and in online groups. One thing that is patently clear about Sandrine is that she is completely transparent, as this post proves. I may at times disagree with some position that she takes on a specific issue, but I have never, ever, doubted her integrity or sincerity. The work she does for Nourishing Our Children is largely voluntary, and I believe the title of this post – “I cannot be bought” is absolutely true. I appreciate your faith and confidence in me, Sally. Thank you. I think Dr. Daniela’s report has thrown many of us for a loop and many, including myself, are hoping for more clarification. That being said, I know you personally and professionally and can definitively say you are very strong willed and would speak your truth despite the consequences. You are in search of health information and are kind enough to share your knowledge with this community. This whole matter has shaken me and I’m sure others in the community but rushing to judgement or blaming you is not the answer. Thank you, Katie. I trust we will get more clarity and appreciate your confidence in me meanwhile. Sandrine, It’s been very clear to me that you’ve been doing this with the utmost integrity and with the sole intention of being of service. I have tremendous appreciation for the time, effort, resources you’ve devoted to keeping the work of Dr. Price alive. The fact that you’ve taken this time to fully disclose your inner workings speaks volumes to your integrity (which has never been in doubt as far as I’m concerned). Thank you Alexandra! Are you part of our Facebook forums? I have 2 young children, and little time to spend online, but had to get a little time on my own right before dinner because I feel that what I have to say needs to be said right now. I have had the pleasure to work with Sandrine as well as see her interact with people for several years. I have always been blown away by her integrity, compassion, and desire to be the best person she can be. It came as no surprise to me that she even took classes in non violent communication. She is, in my mind, a person of complete integrity and I admire her greatly. Also, her work has been instrumental in helping families nourish their children. Her work isn’t just about food, it’s about the whole child! I only wish more people were as passionate as she is! Yes, she gets donations. Believe me, people, you can’t expect people to spend so much time working on something so huge while drawing from their own salary to make it work. It’s not possible! The wealth of information, the motivation, the encouragement, the forums… None of that would exist, or only a fraction of it! I hope this silly controversy goes away soon… People make mistakes. The person who has all the answers hasn’t been born yet, probably never will be. We all do the best we can, and Sandrine does a lot more than most of us. I myself wouldn’t characterize this controversy as silly but, I do hope we all find a way to resolve this more peacefully. Your words were unexpected and deeply moving to me. Thank you for taking time to express your experience of my contributions, Joanna. I am sad for all of the hurt going around, and I honestly don’t understand the compulsion to point fingers and make accusations. I have assumed that our community had strong enough character that when things got tough, we’d all band together to figure out not only the truth but also the best way to proceed with the least amount of damage done. I’ve been disappointed to say the least. Sandrine you obviously put the integrity of the community above all else. I’ve seen you very delicately handle some uncomfortable situations in the different groups you moderate. As a fellow chapter co-leader, I empathize your frustration and feelings of being defeated. It is no small task to volunteer and do what you do. It’s times like these that can make it feel like it’s not worth all of the time, effort, emotion into it all. I’ve been there and it’s just heartbreaking. Please know that there are a lot of us out here that are just waiting quietly to see what unfolds. Just because we aren’t making a ruckus and demanding attention, doesn’t mean we aren’t here. We’ve just learned from past experiences that it’s ok to be quiet and patient and slow to judgement. Let me clarify that I’m not indicating that you are raising a ruckus or demanding attention Sandrine. On this topic it feels to me that many bloggers and others are looking for a headline without having all of the information. It’s no different that the evening news; negativity and shock value = more engaged audience. Yuck. This morning I was happy to see the balanced rebuttal from Sally. Thank you for your words of support. I have always cared about Dr. Daniel’s concerns and have spent a considerable amount of time ensuring they are explored. I don’t like the way in which she went about this but, trust that in the end, it will lead to greater transparency. I have known Sandrine for more than 8 years, both professionally and personally. She has always acted out of a deep sense of integrity and commitment, both in her Visual Communication work and her work with Nourishing Our Children. She has given hours too numerous to count to the cause of educating people on how to nourish children without compensation, because she believes so deeply in the cause. The word that comes to mind when I think of Sandrine is “clarity”. Clarity of vision, clarity of purpose. Sandrine has a very clear vision in her work and what she stands for. Her work is clear. Her communication is clear. She makes every effort to be clear and transparent. The idea that she could be “bought” or her vision or judgement “clouded” by financial donations is ludicrous. And now, once again, she has made the effort to be transparent in this article, citing all financial information and connections with Green Pastures, the WAPF, and Sally Fallon here for all to see. I look forward to hearing more of what the Weston A Price Foundation and Green Pastures have to say in the days to come. I am sure that both organizations are working from a place of integrity and transparency. I appreciate their desire to respond, instead of react. Until we have more information, I trust that we can treat each other with respect, compassion and kindness in our interactions. I sincerely appreciate your perception of me as having a clear vision! Trust me, sometimes I do feel confused! I trust you are aware that the Foundation has posted their response? In my interactions with you, Sandrine, I have found you to be honest, transparent, and sincere. I have witnessed the true concern you have for the Nourishing Our Children community. I know you are not a lemming, and I think that may be why you are taking some heat now. I have watched as you called others to peaceful resolution, to wait for facts, and to give time for all sides to speak before making quick judgments. I’m sorry that others have taken this to mean that you are on the “wrong” side and must have been paid off. If they knew you at all, I’m sure they wouldn’t say such things. I have learned a new word! From the Urban Dictionary: A lemming. “A member of a crowd with no originality or voice of his own. One who speaks or repeats only what he has been told. A tool. A cretin.” Thank you … I agree that I am not a lemming! I have known Sandrine personally and professionally for a number of years. I have absolutely no hesitation in saying that without a doubt, she is not someone who would permit anyone to buy her loyalty toward any cause or effort. I can only imagine her involving herself in efforts with integrity and heart, and endeavors that improve the health and well-being of others. In 2013 she asked me to take on the role of administrator for the Nourishing Our Children Facebook page. A year later we would begin work on a new educational materials project, Nourishing Ourselves. This project would fulfill requests made from the community for materials representing adults in a similar format to the materials she originally created for Nourishing Our Children. There have been donations made to Nourishing Our Children, as she described transparently above. However, I can attest that the work we’ve done both separately and together on Facebook pages and forums, the Nourishing Our Children and Nourishing Ourselves web sites and blogs, and content development for the Nourishing Ourselves educational materials has demanded long, tiring hours. To say the work has been both rewarding and challenging would be an understatement. There is much involved in serving the community optimally with pertinent and useful information, while at the same time ensuring a safe environment for members of online communities when interpersonal challenges and transgressions arise. The jobs we’ve both done, and what she continues to do in these environments are and continues to be largely voluntary. Efforts yield very little compensation. This labor of love and ongoing work she performs day in and day out doesn’t receive funding by Green Pasture Products nor the Weston A. Price Foundation. To say that we’ve worked closely together is an understatement. I think I know her very well. She is definitely not someone who would be influenced by money or the knowing involvement in concealing of any kind of deception or danger to others, whether minor or significant. Her conscience simply wouldn’t allow it. I’m in awe of what she’s created and incredibly proud to have worked alongside her, and look forward to continuing our efforts to finish the materials we’ve started. I could say all of this about you, Raine! Thank you so much for your words of support! I have known Sandrine since 2006. She is one of the most candid and transparent people I know. She places a high value on integrity and truth. It is not consistent with who she is as a person and what she values that she would compromise those for the sake of mere money. I realize that in today’s world it is hard for people to grasp the idea that money is not the be all end all. For some, including Sandrine, reputation and integrity have far more worth! She has a heart to educate people with accurate information, which is why she has dedicated so many hours to Nourishing our Children. For anyone who has watched Nourishing Our Children over the years It is obvious that it is a work of love and not her source of income. Sandrine’s judgement is clear and she would not compromise her work with Nourishing Our Children by recommending anything that she did not believe was true. It saddens me to see since the release of Dr. Daniel’s report how quick people have been to point fingers and make accusations. I realize that many of us are reeling with the contents of the report and attempting to make sense of it all, but making accusations about others and tearing at their character only serves to do more damage. Sandrine, who was passionately trying to get people to focus on the facts that have been presented to the community and to seek clarity on the issues, ended up having the cannons turned on her to where she had to publicly defend herself. And for “complete disclosure” to make the accusation that was made against Sandrine, shows the person not only doesn’t know her, but doesn’t appear to know much about Nourishing our Children either. As you’ve often said, Sandrine, we’re well fed but malnourished. We have a glut of information, but working through it all is so very challenging. The world is changing rapidly and there are many questions to navigate each day in our health journeys. I hope no one seriously doubts your excellent intentions, your desire to connect with people and do good work. Yes, Nourishing Our Children definitely preceded Green Pastures by several years, and the community you’ve created is impressive. Although the communication style is not optimal, I hope this debate comes to a peaceful and healthy resolution. I feel like this whole fiasco is far more emotional/political than it is scientific. So much truth and so much drama on both sides. I am thankful for the people like you and Wellness Mama and Kelly the Kitchen Kop who stay calm and work toward looking for the truth IN LOVE and not anger. Love your blog and your work. Thank you! I belive in your integrity, Sandrine. I know first hand you are strong willed and open minded with incredible diligence. I agree with many with gratitude for your volunteering and working Nourishing Or Children so that it can sustain. I met Sandrine briefly at a senate hearing for raw milk in California many years ago. It is obvious that she has a deep passion to help others. Nourishing our Children has been a vital source of reliable information for ourselves and our patients. It is evident from the content of her articles and posts over the years that she is a woman with strong convictions and integrity. In my dealings with her I have found her to be most generous. When I contacted her because I wanted to see if I could purchase the rights to the Nourishing our Children’s Food Pyramid for use on my business card, she allowed me to use it in return for a small donation to Nourishing Our Children. In return I was granted the right to use her beautiful creation along with NOC educational materials for our patients. I was truly stunned, I expected to pay her directly for her work and I expected it to be quite expensive. Instead, I benefited, our patients benefited and Nourishing our Children benefited! This spoke deeply to me that she was not driven by money in her attempts to help people! I would never question Sandrine’s integrity and am saddened that others have felt it appropriate to attack her. She has dedicated much time (much of it as a volunteer), tirelessly, and steadfastly to a cause that has benefited myself, my family, my patients and countless others. Thank you Sandrine for your labor of love and for the beautiful way you convey these messages with your custom visual imagery. I appreciate you taking the time to write about our history and your perceptions of my contributions. I am delighted that you wanted to use the photo of the food pyramid I created to represent your business! I really dont understand how anyone can say they dont feel duped when the lab tests showed the green pastures fclo is pollack and not cod; and to argue that theyre the same family doesnt make sense. The same family is not the same as being another name for the same exact thing. Considering that pollack is far cheaper than cod, how can this be interpreted as anything other than misrepresenting the product in oder to charge a price that would be ludicrous for pollack? This is the epitome of corrupt and even if the oil isnt rancid and all the other accusations arent true, i’ll never buy anything from these fleecers again or fully trust anyone who continues to defend them. I published this statement in a few comment chains. I don’t believe that David Wetzel attempted to deceive the public. Not for a minute. He has very openly told community members that there is a small amount of Polluck in the cod liver oil in presentations and no one expressed a word of concern. A number of community members have attested to that fact. Would it have behooved him to put in on the label to be as transparent as he possibly could? Yes, and I have told him so. His labels will include this from this point forward. What is done is done. We can’t return to the past. If someone dosen’t trust the product or the company, or the man, and find his choice inexcusable, they have other recommended options. This issue is clearly very important to some people and believe it or not, it really isn’t important to everyone, and some, myself included can live with this. I have known Sandrine for over 10 years. She is like a sister to me and I am upset that anyone would question her integrity. Her value system is very strong and she would never, ever be influenced by others. Sandrine, Thanks for your response. I would love to restore my faith in green pastures, as its never comfortable to feel you’ve been deceived. However, i dont think you adequately addressed the concerns i raised. Dr. Daniels writes in the report that the lab test showed the product was 100 percent alaskan pollock not cod. In 2014, Alaskan pollock sold for approx. $1400/ ton and cod sold for $3400/ton. On the global market where the price for these two fishes are so different, the names arent used interchangeably. Unless Wetzel was duped by his own supplier, it seems he was using a bait and switch to charge much higher prices then he could have otherwise. My understanding is that Kaayla tested the lick tubs given to cows. David told me that last year they only purchased about 10% Alaskan Polluck. My understanding is that has been reflective of most years but, don’t know how far back the practice goes. I recommend you speak to Green Pasture Products directly. I don’t serve as their spokesperson. I am a customer like everyone else. I am not offering myself as a source for people to get their questions answered. I favor direct communication. David has been answering his customers questions himself. On their their blog is an invitation to call and ask questions. If I were in your position and wanted answers, I would pick up the phone and pose your questions to him without pointing fingers of blame or name calling. I would just ask him a straight forward question. I do not appreciate the way in which Kaayla Daniel has handled her concerns but, I don’t call her names. I speak only about her approach. Considering the quality of our food sources at stake here I understand why everybody is so upset. For foodies this is our religion…it’s deeply personal. I’m so sorry Sandrine, that you are being personally attacked. It’s absolutely uncalled for. Throwing around the paid off accusation is strong and hurts – and it is for sure the easiest way for someone to go ahead and take sides. It requires no action and no thought. Shame on anybody who’s done that. I met you online more than 6 years ago, you were a guest on my radio show, I met you in San Francisco, I’ve followed you online for years. My kids liked you. I like you. You have always, throughout these years, been a woman of ethics and high standards; therefore I trust you. I also trust that this situation is not resolved, not over, and not even close to having both sides come out with more info. I’m ok with that. I’m going to let the experts keep on working on their work. I’m going to continue to read all the info that comes out and I’m going to scrutinize anything I give my family. I’m glad when anybody else does that too. As a person of data and mathematics I strongly suggest we look at the comprehensive data being collected. Random samples are prone to mistakes, and anybody in any doctoral program will tell you one random sample isn’t enough to go on. We need to look at 7 points of data. We cannot continue with violent uses of words against each other, and we cannot use phrases like “you just know GP is good” – neither of those statements should be held in any kind of trust or consideration. Flippantly accusing somebody of unethical behavior is an unhealthy communication style and we should know better than that as adults. I cannot imagine that you’re not losing sleep… I’d be a hot mess. I very much look forward to upcoming conversations! I love me a good conversation about food, sources, and nitty gritties. Chin up, Sandrine. Let us keep looking into the information without losing anybody else and let us get to the bottom of this – together. Well said, Sandrine, and all commenters. What I most appreciate about you, Sandrine, is how you work so hard to embody and live the principles of nonviolent communication. I feel like I’m always learning from your example. Your contribution to this great work is immense and appreciated by so many people. Like you, I await further information to clarify these issues surrounding Kaayla Daniel’s report and GP’s FCLO and butter oil products. I am trying not to jump to any conclusions myself about the motivations of any of the actors in this drama. I feel sure that I understand *your* motivations, and they are above reproach. Thanks for all you do. Let me just say that I’m sorry you’ve had to deal with folks that may question your integrity or doubt your motivation (they must not know you that well). As someone who’s had the pleasure of working for you and knowing you personally I would testify to the fact that you are one of THE MOST stand up people I know. It is rare to find a heart that is so open and honest as yours! I haven’t followed this story closely, but I did read the report by Dr. Daniel’s and while I was surprised and concerned by the content of her report, I thought at once that IF there has been intentional misconduct by the Green Pastures company, You certainly would have not known about it; You would never support them if you knew about it; and It would be terribly difficult for you since you know and trust this family personally! I imagine the news has been hard for you to hear and of course you would reserve jumping to conclusions and give your friend and colleague enough respect to hear his response. We should all be holding each other in such high esteem and want to understand the entire story, which is all that you’ve asked of your community. I’m saddened by this blog post of yours, but not really surprised. People are jaded and suspicious (for many understandable reasons) and it’s difficult for them not to assume the worst. We’re so used to hearing stories of fraud. I truly hope that the report is wrong or missing some major piece of information that could explain things, but I too worry that it might be true. Your request that we suspend judgement, made me take pause. Wait a second, this is a real person, active in this community, maybe I don’t know everything. Regardless of how it all transpires, I appreciate your level headedness and I’m glad to be reminded that we shouldn’t be so quick to turn our backs on people. Sometimes we just need to slow down and be less reactive. Certainly, there has been no reason or evidence that we should suspect or accuse you of any false pretense. I know you would not stand up and support somebody that was telling lies or harming others! I hope the negative energy coming your way passes soon and that in the meantime you may take comfort in the love and respect that so many of us have for you. Sending hugs!!! It makes me very sad to see how Kaayla Daniel’s “report” wasn’t a simple statement of facts and findings but instead has caused such division, blame and harm. In the many years I’ve known Sandrine she has made it a top priority to communicate in her business and personal relationships with honesty and integrity. I believe she has a very strong moral compass to do what is right. I am the Donor Relations Manager for Nourishing Our Children and, working closely with Sandrine, have been impressed with her integrity at every turn and with every decision she makes for the organization. Anyone who knows Sandrine knows that she speaks her beliefs always and does not compromise her values for anything. Sandrine is one of the most upfront and honest people I know. I’m reading about this for the first time and wanted to share my experience of Sandrine who I’ve worked with and known for 10 years. It is without exaggeration that I say I have yet to meet a man or woman with more personal and professional integrity than Sandrine. I might not always agree with her, but I do always, always trust her unwavering integrity. She walks her talk — living by the principles of honesty and transparency in her communications and transactions. In fact, I simply cannot imagine a more incorruptible person. That is what is so confusing to me here. I have known Sandrine since 2007 as a friend and a colleague. She is one of the most committed, honest and high integrity people I know. Because of her fierce dedication and commitment to this cause, so many children will now be better nourished, become healthier adults and create a healthier world than would have been otherwise. She is doing life changing work and mostly at the expense of her own time and money. She is not one to do something just for the money. In fact, she even turned down a design job with me once because it did not align with her values despite the fact that she could have made more money. If there is or was anything out of integrity with Green Pastures FCLO, it is certainly not something she would have intentionally covered up for her own gain. She is simply not that kind of person. While many people are confused and frustrated about the FCLO debacle, I have witnessed Sandrine try to be a peacemaker to help keep the movement strong and the drama from spinning out of control. Sandrine, I am sorry you have been so directly affected by this. Just shake it off and don’t take it personally…as hard as that sounds.